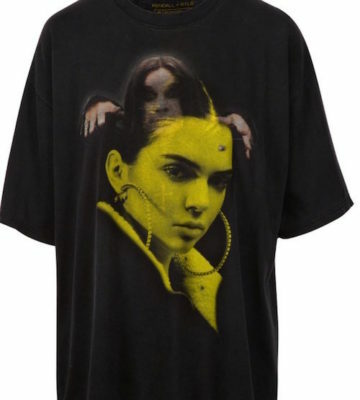 In a story posted on June 30th, Jenner sisters, Kendall and Kylie, were selling “vintage” T-shirts with the pair’s faces superimposed over some of rock and rock’s biggest icons. The T-shirts in question featured images of Ozzy Osbourne, Metallica, KISS, Led Zeppelin, Pink Floyd, The Doors, the late rappers, Notorious B.I.G. and Tupac Shakur, overlaid with Instagram shots of the model/reality star siblings. After being slammed by both Notorious B.I.G.’s mother, and Ozzy’s wife, Sharon Osbourne, the pair quickly stopped selling the $125 shirts, on their online shop, Kendall + Kylie, and issued an apology. Metallica frontman, James Hetfield, was recently asked for his opinion on the topic, by ET Canada, and he replied, “I guess what they were thinking is, ‘We can do whatever we want.’ To me, it’s disrespectful. We’ve spent thirty-six years working hard, doing our best to keep a really close connection with people, make every note count, and someone just throws something up over something that we fee…Not that it’s sacred or anything, but show some respect.” View the segment below. Totally agree with Sharon on this! These stupid people couldn’t tell you a damn thing about any of the artists on these shirts! Metalheads wear their favorite bands’ T-shirts as a badge of honor and to show support for the band. At my school, if you wore the wrong shirt, you could be in for a s–t storm or even a fight! The stupid Kardashian chicks don’t deserve to use these iconic images on these ugly and overpriced shirts! 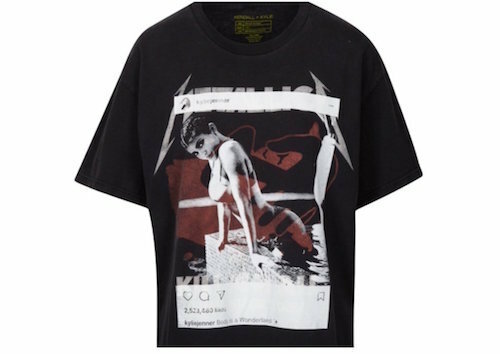 The metal community needs to stand up for our imagery, and take it back from people like Justin Bieber and the Kardashian family. HORNS UP! !